⬅ Team or Silo Parenting? 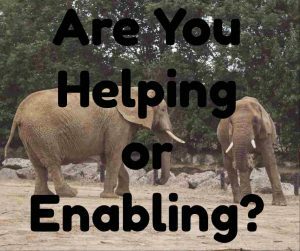 Are You Helping or Enabling Your Kids? Most of us would do anything for our kids. We want them to be happy. We want them to say we were always there for them. We want them to be successful in school, in sports, and in relationships. Our desire is for our kids to be the best they can be and compete at the highest level. Yet, I wonder if instead of helping we are stunting their growth. Are we enabling them to not take care of themselves because they know that we will be there to provide for them no matter what? What is our real desire for our kids for their future? And how do we raise kids who become mature adults who can think for themselves, solve their own problems, and have a desire to get ahead in life? Last week there was a video on Facebook that was priceless and I think could teach all of us a thing or two about helping instead of enabling. A baby elephant had slid into a stream and struggled over and over to pull himself up onto flat land. The problem was that the ground where he was trying to get out had become so wet and muddy that it became a slide that would not allow him a firm grip. Over and over he slid back into the stream. At one point you could tell he seemed to be getting tired. He quit trying. He paced back and forth as if he was doing some self-talk. Frustrated at his circumstance he kept circling lowering his trunk into the water. He paused. Then he decided to try again. This time as the camera panned out we could see his mother from a distance coaxing him to try harder. After much time she slowly walked toward him and seemed to hug him as she took her trunk and wrapped it with his. Knowing nothing about elephants I wondered if she would try to pull him out with her strong trunk. But she didn’t. She actually backed away several feet. After a few more rounds of slipping, mama elephant slid into the water, encouraged him to try again, and then behind him proceeded to give him a little nudge. With that, he made it to higher ground. The question that most of us need to ask ourselves is “At what point do we intervene with our kids and how much assistance do we give?” Intervening too quickly and and with too much assistance moves us from helping to enabling. Sometimes we need to allow our kids to fail so they can actually learn from their mistakes. Enabling allows our kids be irresponsible. We intervene so they won’t suffer the consequences of their choices. Sometimes we think we are showing our kids love by helping with homework or picking up after them or giving them money rather than encouraging them to get a job, but will that well-intended help cause them to realize that someone will always be there to bail them out? What will be the consequences of our actions for their future mate? Will they be looking for a mom-figure who they think should bail them out causing marital conflict for their future? If you are a mom who likes to help your kid, maybe it is time to do some soul searching. What is the driving force behind the extra help that you give your kids? If your kid is successful have you bought into the lie that it means you are a good mom? Is the extra help because you don’t believe your kid can do it on his own? Or maybe you aren’t willing to trust God with your child? This isn’t an attempt at condemnation. It is an honest assessment by you about you. Is it time to let your kid be more responsible for his stuff. Is he the owner of his to-do list or are you owning it? And, yes, oh that realization hurts. OUCH! But sometimes painful self-assessment can push us to do things differently. Assess where you might be enabling and make a choice to back off. Be sure to communicate with your teen that you feel like you might be hindering their future and that you want to help them mature. Let them know when this will go into affect. Ease your child into their new reality. Too many times parents see that they are doing too much for their kids and make a statement that they are no longer going to do XYZ to help. It can come off as harsh and shuts down the relationship. Sometimes it is better to take baby steps as we try to wean our kids into their new mature behavior. Be their cheerleader. Send them a text, cheer them on, give them a hug, and let them know you think they can be successful. It is important to remember that cheerleaders don’t take the ball and try to score. Once you’ve communicated that it is their game, don’t take the ball back. If they lose the first game, there is always another opportunity. When they are stuck, give them a nudge from behind (that’s elephant speak 🙂 ) If you see your kid floundering, offer suggestions, and be ready to get in their space to give a nudge in the right direction. Whether it is doling out money or giving our kids a ride to school when they could be taking the bus or helping with homework, our kids need to be learning that we’re here to help them be successful not make their life easy. If we aren’t careful we will believe the lie from the Enemy that our job as parents is to pave the way for our kids such that they don’t stumble or experience frustration or pain. For each will have to bear his own load. Dare you to assess where you might be enabling rather than helping and choose to do things differently. 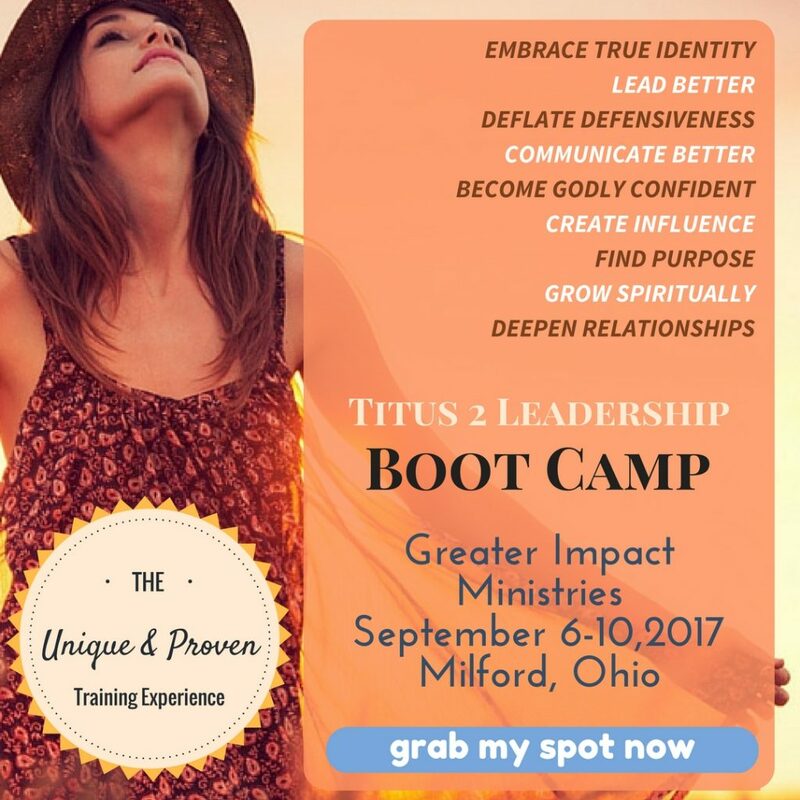 Doing so might help you raise the mature adult that you desire.